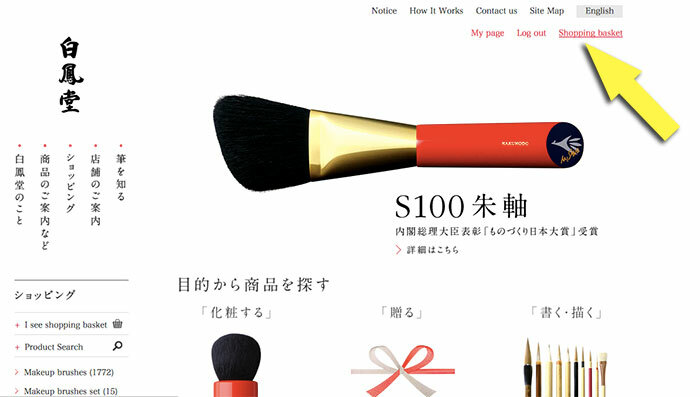 Hakuhodo’s Japanese website does not offer shipping outside of Japan at this time, so it is necessary to use a forwarding service. Tenso, located in Tokyo, acts as an intermediary by accepting your package from Hakuhodo, then mailing it to wherever you are located on the globe! 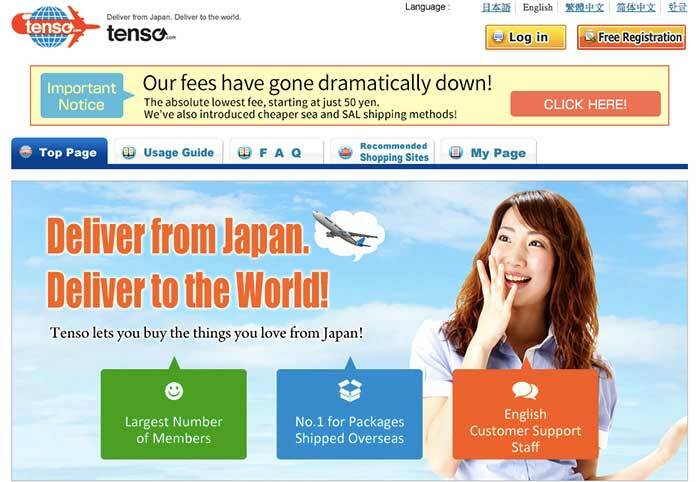 You will need a create an account with Tenso (www.Tenso.com/en), and make note of your unique Tenso mailing address. 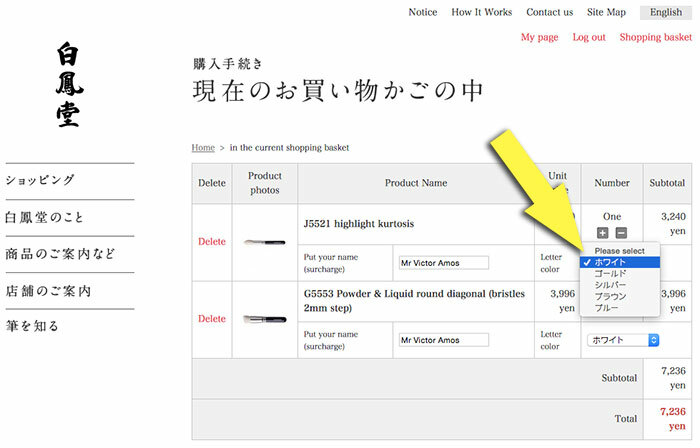 As I mentioned earlier, you cannot get custom engraving through Hakuhodo’s English website. This means that you will need to shop on their Japanese website (www.Hakuho-do.co.jp), and enlist the assistance of a browser translator. I like to use Google’s Chrome Browser because it automatically gives you the option of translating a website when it detects a foreign language. Go ahead and shop for all of your brushes. Once you have found all of your brushes, we will begin the checkout process. 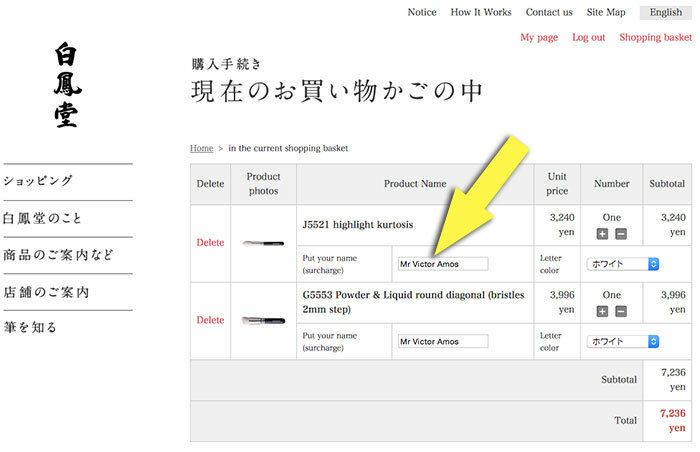 You will need to find the “Shopping Basket” link in the upper right-hand corner of the page. Click on it. Once you are inside your shopping basket, you will want to look for the text boxes that read: “Put your name (surcharge)”. 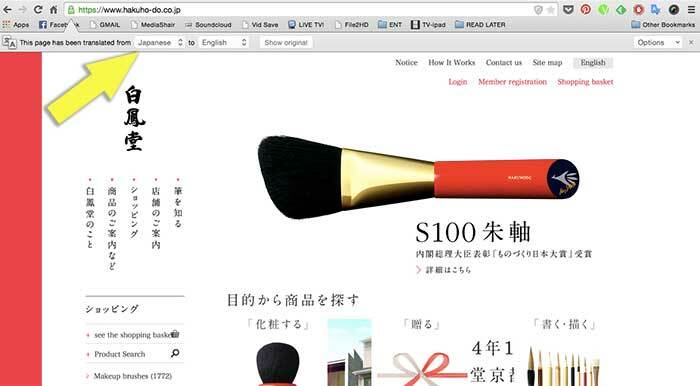 This is where you will input what you want engraved into your makeup brushes. Keep in mind that there is a surcharge of ¥150 (about $1.25 according to the current conversion rate), and there is only 1 cursive-looking font available. …click to continue on to the next page of instructions.